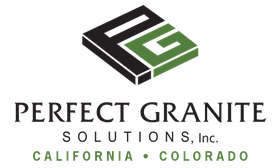 Perfect Granite Solutions: The home of the best artisans in granite and marble sealing, maintenance, repair and inspections in Orange, L.A, Riverside, and San Diego counties. We are committed to solutions for all your stone and tile needs. If you are a homeowner, commercial contractor, stone distributor, designer, or custom home contractor, you will find all that you need right here with Perfect Granite Solutions. Perfect Granite Solutions is the premier company for producing custom slab and tile finishes such as brushed, leather, honed and polished surfaces. Since 2008 PGS has been changing the way stone looks in homes and businesses. We serve Los Angeles, Orange, Riverside and San Diego Counties. Perfect Granite Solutions specialize in commercial and residential stone maintenance. From Hotels to High Rises to homes we address issues such as yearly maintenance, scratch removal, slip prevention, and small to large restoration projects. Our priority is meeting deadlines. Our policy is safety first. PGS Blasting is our newest service for the stone and construction industry. Our Dustless Blasting system uses abrasive media with pressurized water vapor to reduce the amount of dust in the air, making it environmentally friendly! Our blaster removes all kinds of coatings - rust, adhesives and paint on stone, brick, cement and wood.